From aesthetics to efficiency, windows are one of the most vital and interesting features of any building or home. They bridge the gap between our secure, indoor lives and the elements outdoors. Their unique and evolving styles have inspired architects and homeowners alike for hundreds of years. 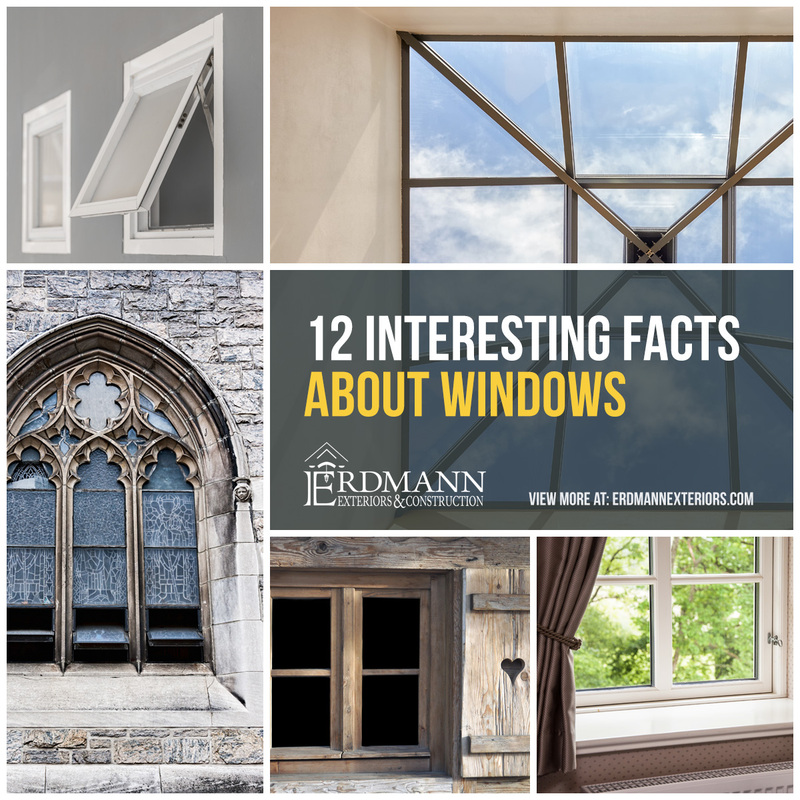 As a tribute to the beauty, comfort and value windows add to our lives, we’re sharing 12 facts about windows that you may find interesting or perhaps even helpful in the future! Before glass was invented, windows were commonly made from paper, cloth, animal hide, flattened pieces of animal horn or thin slices of marble and wood. Leaky and inefficient windows, skylights, and glazed doors account for more than 25% of the average household’s energy bills. You can cut energy costs by as much as 15% by buying windows with double-pane insulated glass, heat-resistant coatings, airtight frames, and Energy Star ratings. The 2,717 foot building, Burj Khalifa, in Dubai stands 206 stories tall reaching a half mile into the sky, and houses approximately 34,348 windows. It takes a team of more than 30 people approximately three months to wash all the windows! The Old English version of the word “window” translates to eye-door or eye-hole. Most manufacturers say windows should be replaced after around 20 years. Signs of a failing windows include those that allow drafts to enter your home, are sealed or painted shut, or window panes that collect condensation and frost. The White House contains 147 windows, whereas Buckingham Palace has a total of 760 windows. Light-color shades reduce a window’s solar heat gain by as much as 43%, while awnings reduce it by as much as 77%. On average windows make up roughly 15% of a traditional home’s wall space. Skylights increase the natural light in your home by 30% more than vertical windows of the same size. Fiberglass windows may end up 10-25% more expensive than vinyl, but these windows are much stronger and last longer due to the nature of the material (a combination of molten glass fibers and resin). Fiberglass also adapts to extremes in temperature much better than vinyl or wood. Double hung windows have been found in American homes since the 1800’s and continue to be the most popular type of replacement windows in the U.S. While you should avoid electrical appliances, wires and metal during a lighting storm, you will also want to stay a distance from windows as lightning has the ability to come in through cracks on the sides of your windows. Who knew windows were so interesting? If you have any questions about what type of windows might suit your home best, or are in need of a window replacement, contact Erdmann Exteriors & Construction today!